Watch and Tag Archive Historical footage from Victorian era through to the fall of the Berlin Wall. Discover more about the Swinging Sixties and Pop Artists or watch real footage of the Titanic. 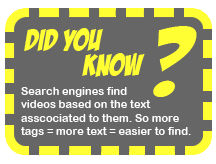 Impress friends with your knowledge by tagging the videos. Look at life.Swinging London of sixties.